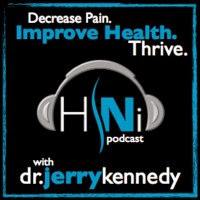 Earlier this week I had the great pleasure of talking with Dr. Jerry Kennedy of the Healthy Neck Insider podcast. He is an athlete, a father and a trained chiropractor with over 9 years of clinical experience and he has a passion for helping people heal from pain. His journey has led to him embracing diet and exercise as critical parts of the pain solution and he invited me on to his show to discuss a little of what I do. We dished on how I learned to do a standing backflip at the age of 30, went deep with discussion of self-limiting beliefs, and broke down the basics of the paleo diet and lifestyle. The conversation was a lot of fun for me so I hope you enjoy it as well.